The weather in the location I am living has been very nice. It made me dream about spring when everything blooms. To make this card. 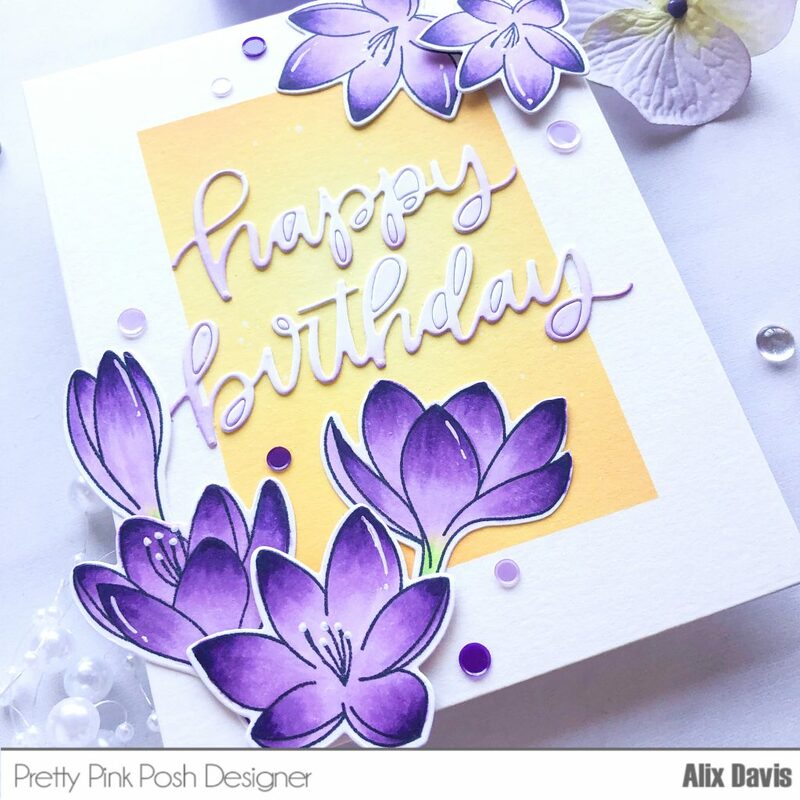 I first stamped the images from Pretty Pink Posh Crocus Flowers Stamp set with copic markers (V01,V09 and V15 for the flowers; YG23,YG17 for the stems) die cut them with the Coordinating Dies. I used Uni-ball White gel pen to draw some details on the flower petals. 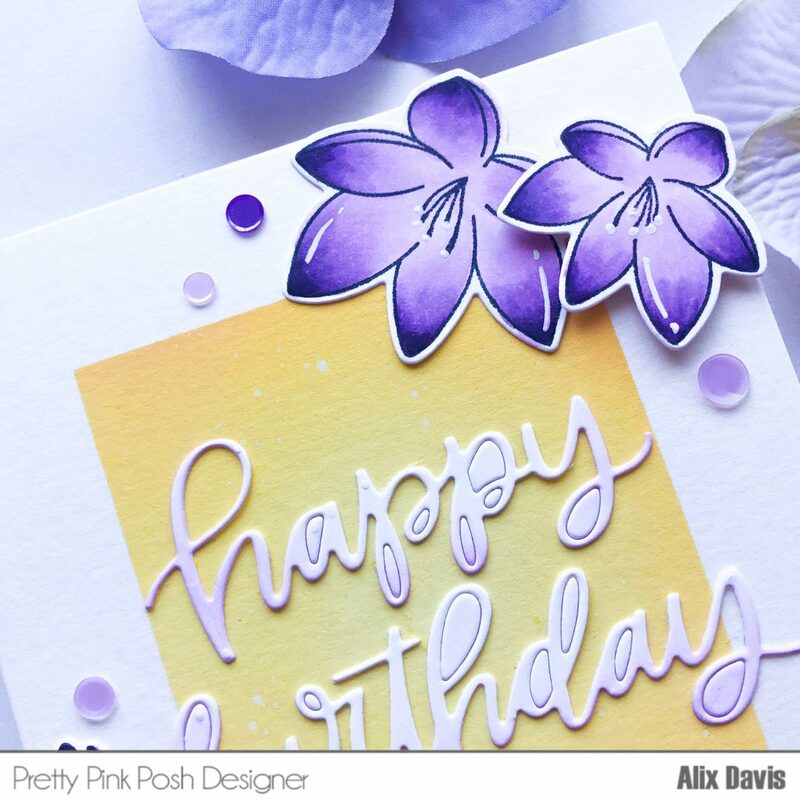 I then die cut “Happy Birthday” with Pretty Pink Posh Happy Birthday Script Die out of a piece of 100 lbs white card stock. 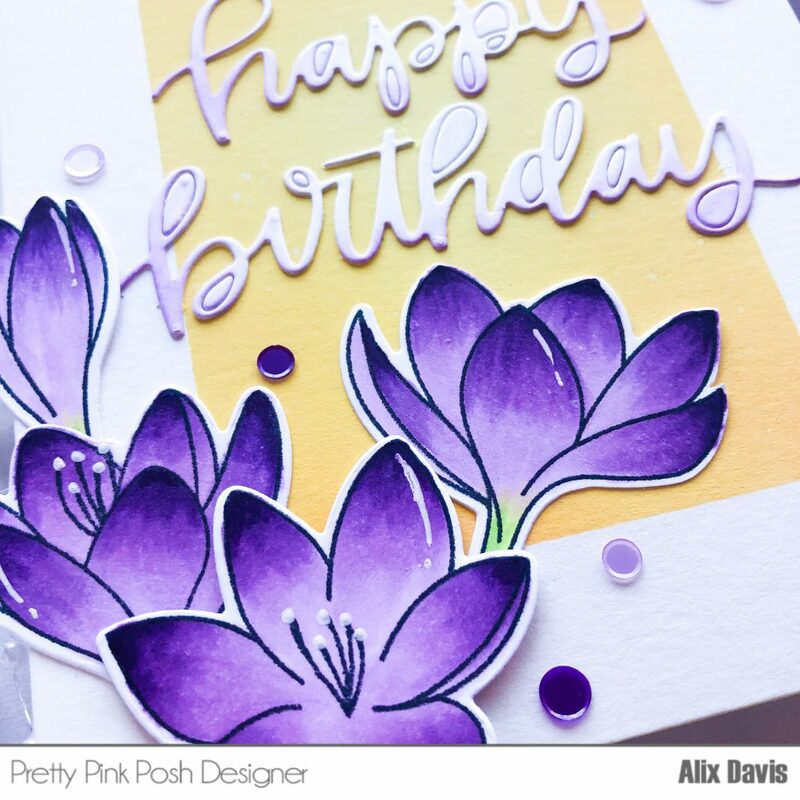 I light handed ink blended the edge of the die cut using Tim Holtz Distress oxide in Wilted Violet. To prepare the background. I decided to go for simple layout. I used 1 inch wide washi tape masking the edge of the card base, then ink blended un masked area using Tim Holtz Distress oxide in Squeezed Lemonade, Mustard Seed and Spiced Marmalade. I splattered a few water drops over ink blended area to create the cool effect when it dried. 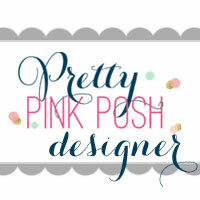 I arranged die cuts and colored images using Multi Medium Matte and Foam tapes onto the background and added Pretty Pink Posh Sugar Plum confetti mix to have the final touch. 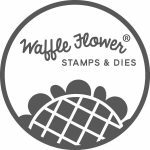 I will have another card coming up on Friday to show another way using this gorgeous stamp set. Stick around! 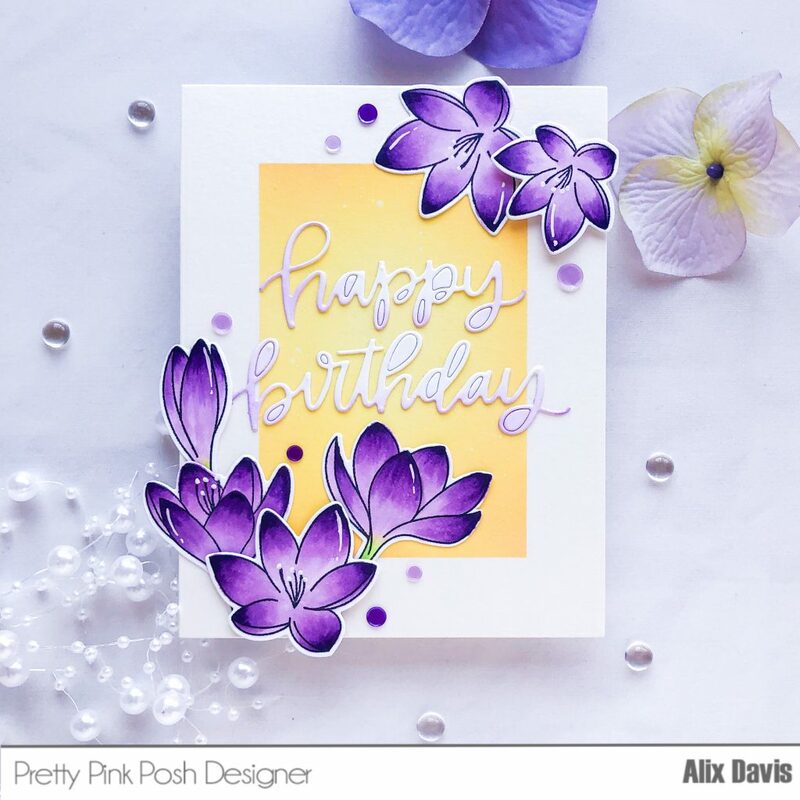 This entry was posted in Cards and tagged crocus flower, Pretty Pink Posh.